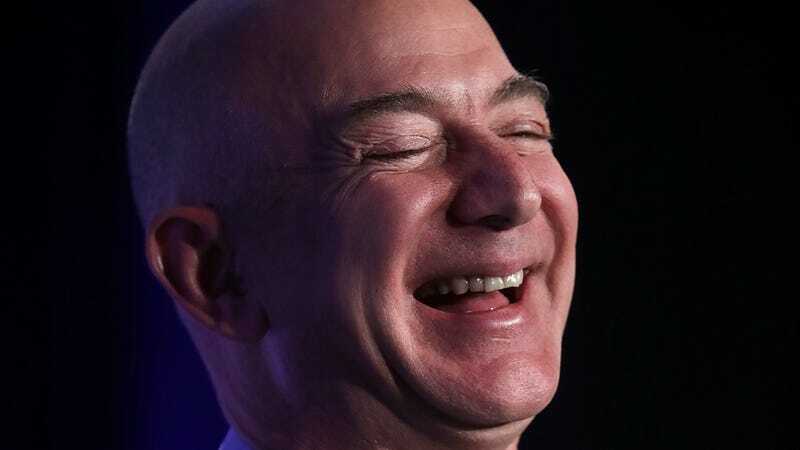 Amazon named 20 finalist cities in its Second Headquarters Thunderdome last month, and the desperate race to woo Jeff Bezos is on. The latest awkward attempt at flirtation comes from Maryland, whose head of transportation said yesterday that he will give Amazon a “blank check” for improvements that would help the company. Money that, uh, Maryland hopes to find somewhere, somehow. Rhan then said that blank check could amount to about $2 billion, though it “could be more or could be less” than that amount. It is part of the $5 billion pitch that Maryland Governor Larry Hogan promised Amazon in January, with roughly $3 billion in grants and tax breaks, and $2 billion in transportation improvements. Rhan could not say when Amazon will announce the shortlist of possible second-headquarter locations, citing a confidentiality agreement with the company. Perhaps the retail juggernaut is waiting to see who else will throw them imaginary money. Or just offer the biggest tax breaks.